This week, Kenya mourns, and Kenya celebrates. Prof. Wangari Maathai, mother, environmentalist, activist, teacher, woman achiever, founder of the Green Belt Movement, and first African woman to win the Nobel Peace Prize, passed on at Nairobi Hospital after a long battle with cancer. Her service to Kenya, and her contribution to the world will never be forgotten. She will be missed. But, they do say that with every passing of a great individual, a new one is born. It is because of the efforts of activists such as Wangari Maathai that Kenya continually produces world-class athletes, who make us proud on the world stage. Formerly a little known athlete, Patrick Makau, shone yesterday as he set a new world record for the marathon in Berlin. The future of the world is only secure with a continuous cycle of individuals who make a difference; for the greater good of mankind. This week's "Kenya's Women and Men of the Week" were all influenced heavily by Professor Wangari Maathai, they are: Media Personality, Caroline Mutoko; Wildlife Conservationist, Dr. Helen Gichohi; Professor, Politician, former Member of Parliament, Prof. Julia Ojiambo; Advisor and Sports Administrator, Bob Munro; Actor and Comedian, Charles Bukeko (Papa Shirandula); and Wildlife Conservationist, Dr. David 'Jonah' Western. 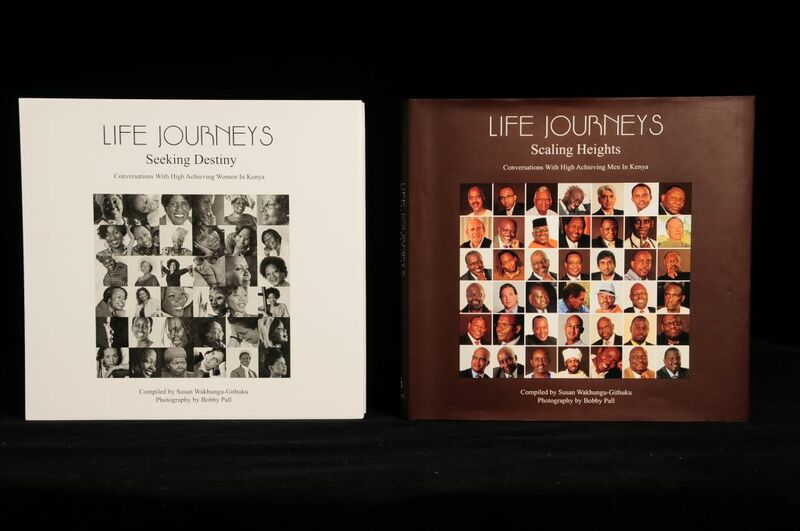 Listen to Kiss 100 every morning this week, with Caroline Mutoko and Jalan'go, to win a free copy of "Life Journeys: Scaling Heights," Conversations With High Achieving Men in Kenya. Caroline Mutoko's voice is a familiar one around Kenya, and has been on the airwaves since the late '90s. She began her career with Capital FM, not only as a Radio Presenter, but also as the Marketing Manager. Caroline is currently a Radio Presenter with Kiss 100, Group Marketing Manager for Media Network Radio Africa, and recently, proud mother of a beautiful baby girl by the name of Nduku. Young people in Kenya need to learn the advantages of delayed gratification, of working for what you want and surpassing expectations, both yours and others. My life mantra has always been: Always do more than is expected; average is not good enough. It is annoying to be okay with okay. Demand more, be more! That is the only way to be all that you were born to be. As a Kenyan, I had a soft spot for Obama, but I had an even softer spot for Hilary Clinton. Closer to home, I am awed by Nobel Laureate, Wangari Maathai. For a long time she was a lone voice warning us of the need to take care of Mother Nature. Although she sang alone, she continued to sing anyway, with the drive and compassion of a woman. The biggest lessons I have learnt along the way are to count my blessings ( it is easy to whine all the time), to give back and to have empathy. I work with other people in mind and take time to learn about and know the people who make up my world: the cook, the watchman - everyone. A part of Prof. Wangari Maathai has been left in this achiever. Wildlife Conservationist, Dr. Helen Gichohi is as passionate about the environment as Prof. Maathai was. This achiever has written extensively on conservation, land use and wildlife in Kenya. In 2010, she was awarded the Moran of the Order of the Burning Spear, Presidential Award, and in 2009, the International Conservation Award was bestowed upon her by the ICCF, in Washington DC. She is the current President of African Wildlife Foundation. I am inspired by the desire to help and give back. I experienced poverty while growing up so I find it easy to give back. I focus on education as being key to reducing poverty and serve as a mentor to several bright girls from largely disadvantaged backgrounds at the Starehe Girls Center. Like everyone else, I have had my share of challenges and struggles. I battled to find out what I wanted to do and become in life. Juggling many hats simultaneously, a mother of young children, a director of a field based organization, a wife, and a student was not easy and I sometimes wondered what role was suffering. My busy schedule leaves me little time for deep thinking, reflection and introspection. I believe that these are essential for continuous excellence, inspiration and effective leadership. In life, it is wise to have role-models. My role-models are Nelson Mandela, Wangari Maathai, and now Barack Obama, all of whom believed in a cause that is far greater than them. With age comes wisdom and life has taught me many lessons that I can share with others. The common African saying has come to have meaning - 'if you want to travel faster, travel alone. But if you want to travel further, travel with others'." Professor Julia Ojiambo is a distinguished Professor, Politician, and former Member of Parliament. She has been in the forefront of Social, Political and Economic aspects of gender, development, health and education of women and youth in Kenya. This achiever is the Founding Professor of the proposed Scientific and Technological Applied Research and Training for women, Start University. "Life is a journey, a mystery that most of us humans do not understand. It is a hard struggle, full of ups and downs, which nature has its own way of balancing. The ups inspire you while the downs challenge you to improve your perfomance. Parenthood is one of life's greatest responsibilities because a parent is a child's first role model. God has blessed me with four amazing children who are my heroes and also my greatest role models. Josephine is a doctor and has recently been appointed an Ambassador; Theresa and Jack are lawyers; and Sanda is an Economist. They have succeeded through hard work and I am proud of them. Wangari Maathai is another heroine. She is a woman who believes in her cause and her resilience and determination are what made her a Nobel Laureate. Advisor and Sports Administrator, Robert (Bob) Munro's other name should be Football. He is the Managing Director of XXCEL Africa Ltd; Founder and Chairman of Mathare United FC; Founder and Chairman of Mathare Youth Sports Association; Founding Director of Kenya Premier League; and was also the Co-Chairman of the Harambee Stars. 'Bob' as he is commonly known has opened up opportunites for Mathare youths through sports. It is our hope and prayer, that he too, will be a Nobel Laureate.
" Most Kenyans associate my name with the Mathare Youth Sports Association (MYSA), Mathare United FC and Kenyan Premier League (KPL). Many are surprised to learn that I also worked as a senior policy adviser on environment and sustainable development for nearly four decades in over 50 countries and especially in Africa since the mid-1980s. I have learnt much from other people and especially from the MYSA Youth and their mothers. Their remarkable determination, courage and high spirits as they tackle numerous challenges have provided constant inspiration. I also draw inspiration from my Kenyan friends, including Wangari Maathai and John Githongo, who I admire for their personal courage and commitment. They struggled and sacrificed a great deal to stop the misuse of our natural resources and public funds which belong to all Kenyans. In whatever time I have left on the planet, I want to help make the MYSA Sports and Community Leadership Academy into a global centre of excellence for training youth to start and manage their own sports for development projects in other poor urban and rural communities. I also want to build a new stadium for Mathare United and transform the KPL into one of the best managed, most respected, competitive and corruption-free league in Africa. Actor and Comedian, Charles Bukeko, better known as 'Papa Shirandula' or '...Shirandura' in other circles, has graced our television screens with laugh out loud shows and commercials. He is the brains behind the "Brrrr..." campaigns for Coca Cola, and he is also a Coca Cola Global Ambassador. I had an exciting childhood despite being a very naughty boy. My outgoing character always stood out in school. I was vocal and my reputation as a heckler preceded me, especially when it came to Mchongoano, the popular street game based on a cheeky disparagement of others. The Coca-Cola ‘Brrr’ campaign has been my most popular advert and it has been extremely well received internationally. I am now a familiar face in many countries. One interesting experience in Thailand was when I was asked to train an elephant for an advert. I had a week to befriend the mammal, but within two days, we were not only friends but it could also make the ‘Brrr’ sound while drinking Coca Cola. However, no matter how hard we try, we cannot afford to be completely positive about Kenya because we lack proper leadership and the continuous political tantrums have slowed down our growth. I have little respect for politicians because of the way they abuse the voter. They pretend to be Kenyans when they need your vote, but after that they stop behaving, thinking, and talking like us. This dangerous cycle plays out every five years. If I ever gained political power I would immediately appoint a cabinet comprising women and youthful leaders. I have seen the selfless leadership of my mother and other great women, such as Wangari Maathai, Milly Odhiambo, and Martha Karua. They have passion, and I wish they could have the power to make more decisions on a national scale. Women and youth are the ones who suffer in times of political wrangles so they are willing to go the extra mile to ensure that peace and order is maintained. Wildlife Conservationist, and author of "Dust of Kilimanjaro," Dr. David Western is the Founder and Chairman of African Conservation Centre. This one-time Director of the Kenya Wildlife Service was one of the pioneers of the conservancy concept, and spent a good portion of his life researching and living with the Maasai in the Mara. He was the recipient of the prestigious World Ecology Award, in 2010. Our schoolteachers identified my skills in the bush at an early age and I was typically referred to by the nickname ‘bush guy’. My other name ‘Jonah’ is from my childhood gang members who shared my passion for the bush. Each of the five members took a name from comic characters and mine has stuck. However, it aptly describes me. I set up the African Conservation Centre ( ACC) in the late 1980s because I felt that Kenya needed a good cadre of young conservationists to conduct practical projects as they studied Economics, Sociology, Biology and other subjects that make up conservation science. I recruited many young good students at ACC and today they have become leaders in conservation science and conservation practice. They include Helen Gichohi, President of the African Wildlife Foundation; John Waithaka, Head of Monitoring in Parks , Canada; Chris Gakahu, Assistant County Director, UNDP; John Githaiga, Evans Mwangi and Fred Waweru among other senior university lecturers. To move in this new, yet traditional direction, we need inspiring leaders. We need leaders who will provide us with a new vision, a sense of worth and pride in being Kenyan. Wangari Maathai among other Kenyans including our great sportsmen and women and those who have been successful on the global scene serve as good role models. The fact that a son of a Kenyan can become the most influential person on earth is truly inspiring. However, we need our own ‘Obama’s’. We have many of these individuals in our midst, yet we seldom recognize or give them tribute. 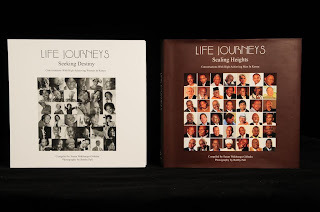 These are but a few lives that Prof. Wangari Maathai touched. Her legacy will forever impact generations to come.